You are here: Home / reviews / Event Reviews / Jammy’s Jaunts: 22.03 – 24.03 – Don’t Techno Sh!t, Cartulis Day, SubTerrania and Ardor. 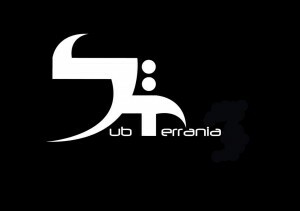 Plain and Simple’s roving reporter/man about town and clubbing addict Jammy brings you his eye view of the event he was partying at in the last week… This time he spent his jaunts at Don’t Techno Sh!t, Cartulis Day, SubTerrania and Ardor. Hello and welcome to Jammy’s Jaunts! Your weekly clubbing review of London! The last jaunt was quite a lengthy one, packing in 4 parties over the weekend, not including Jaded! The jaunt began with the return of Don’t Techno Sh!t, followed by Cartulis Day, the SubTerrania afters and finally ending with the very first Ardor party. So kicking off the weekend’s jaunt was the return of Tred Benedict’s party; Don’t Techno Sh!t. Originally a party that ran back in 2008, it has finally come back and it was good to finally attend my first one there. 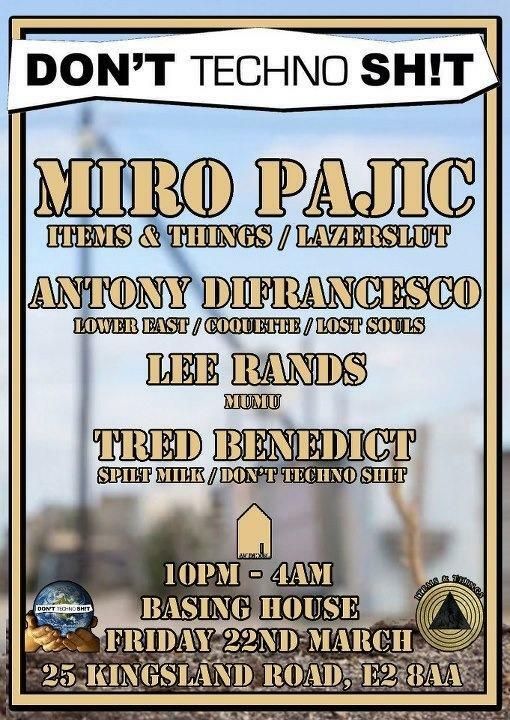 Held at Basing House, their headliner was Miro Pajic (Items and Things/Lazerslut) alongside Antony Difrancesco (Lower East/Lost Souls), Lee Rands (Mumu) and resident Tred Benedict. 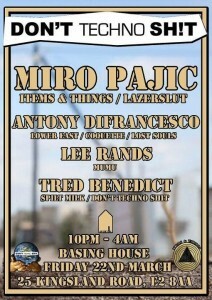 Heading there around 1am, Miro Pajic was already on and the place was comfortably filled. A real nice crowd was inside and it was good to see a lot of friendly and familiar faces. The vibe was cool and the music was nice and rolling tech house. A nice party on a Friday to warm things up, ready for the weekend to start. As you all know for the regular readers of the Jaunts, there are so many parties in London week in, week out and hopefully this one will stand out on Fridays from now on. The next instalment of Don’t Techno Sh!t will be on the 26th April. So as Miro continued the groove the music, the crowd were loving the music and having a great time. It’s always great to take a step back and watch the crowd and fully appreciate and take in what’s going on around you and how much people appreciate good music, after all when we go out, that’s one of the main reasons for having a good time! So eventually the resident of the party Tred came on and closed things with his own Don’t Techno Sh!t style. He started off really well and kept the vibe alive and was given a great ovation by the crowd! A really good new beginning for this party and long may it continue! The next jaunt and party on this Friday was off to Crucifix Lane for Cartulis Day! So the next Cartulis Day party for this time around was on Friday instead of their normal Saturday slot with this time headlining for them Christopher Rau (Smallville, Pampa, Hypercolour) Doubting Thomas [live] (Lesszimo:r, Hummingbird) alongside Carlo [live] (Neovinyl, Plastic City) Gabbi Lopez (Release Sustain, Bad Animal) and resident Unai Trotti (Cartuli’s Music, Jaded). Arriving quite late after Don’t Techno Sh!t, I arrived at Crucifix Lane and the place was pretty full. This party always has a habit of starting late and when the crowd gets going, they are all up for it, such is the clued up and friendly nature of the crowd! Christopher Rau was the first DJ that I saw play as I arrived and immediately his sound I recognised was perfect for Cartulis I thought, and he was really enjoying it and creating a really good groove for the Cartulis masses! I have never seen him play before and it was something different from my Techno norm. A very good name to have play for Cartulis, and so was Doubting Thomas (live) who was next up. Again, he continued the really good build up Christopher Rau started and another act I really enjoyed and saw play for the first time which is always good to experience. Everyone loved it and the place was rammed. The Cartulis crowd certainly know how to party and all the DJ’s loved playing there. Last but by no means least the resident Unai Trotti came on to close things and by then the main majority of the crowd were still there. He instantly came on and really impressed. I have seen him play many times and every time it’s a great honour and pleasure to see him play. A very good talent to hear play in the London scene. A really nice jaunt at Cartulis as always. Next jaunt to follow was quickly round the corner to Cable, where SubTerrania were having their afters. This was the first time I have been to their afters and from what I heard, I was quite impressed. Run by Mauro Fernandes and Ivan Mestivan, they created this party 3 years ago to provide another alternative to the after party scene in London. Playing for them this time around was resident Samantha Blackburn and headliner Geddes. As I got there just after Cartulis, they took over the balcony room of Cable and Samantha Blackburn was playing and first time I had seen her play for SubTerrania and the music sounded perfect for their after party. They have attracted a decent crowd too and everyone was up for a good party there. It was also nice to check out a Saturday morning afters and see how the vibe and mood is compared to the other after parties that I usually go to. Geddes came on after and delivered his own style of afterhours madness to the party that worked well. A good booking for their party and he knew exactly how to work the SubTerrania crowd. I left a few hours later after a nice after hours jaunt! 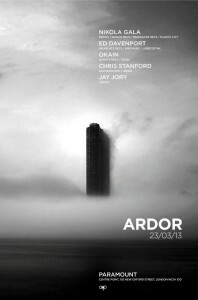 The last stop of the weekend was the very first Ardor party in London at Paramount all the way up Centre Point. A first time for me at Paramount and what a great party it was! Playing for Ardor was Chris Stanford (EarToGround/Jaded), Okain (Quartz Recs/Tsuba), Ed Davenport (Falkplatz Recs/NRK Music) and Nikola Gala (Rekids, Ibadan). Arriving there just after midnight, Okain was on the decks and he was laying down some really groovy tech house. The views were pretty amazing as I went around the club. For people who have never been to Paramount, the bar is in the middle of the dancefloor to the right hand side with the speakers on the left, with the DJ booth tucked away on the far left side. The club is a decent size and it was good to see the party busy with lots of people really having a nice time listening to quality music! A real testament to the booking of all the DJ’s especially for a first party!